With a certain degree of simplification, it would be easier to write what is ordinary about this device rather than to give an account of all the innovations and special features. 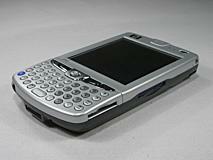 Please note that the device I had was a pre-production unit, as is the case with all models featured in the “First 60 minutes with…” series. That means that the final product’s hardware and software features may differ. It is still a few weeks (or months) before its launch, so please do not rely on the information herein contained absolutely. The average-size device features an unbelievable concentration of innovation per cubic centimetre. Its weight matches that of similarly equipped devices. The device holds pretty well thanks to rounded edges at the bottom. I bet my ancient 16-MB CompactFlash card:) that four out of five Pocket PC fans will notice an unusual display at first sight. As far as I can remember, this is the first Pocket PC device in history to feature a square display. The display sports the same parameters e.g. as that in iPAQ hx2750 (TFT, 65 thousand colours) but different size: 240 x 240 pixels, 79-millimetre diagonal. I will discuss its advantages and disadvantages in more detail in a big review, for now I have just a few remarks. 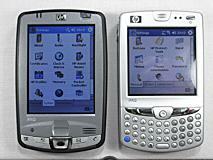 The iPAQ hw6500, AKA Mobile Messenger, is a pioneer also in communication. 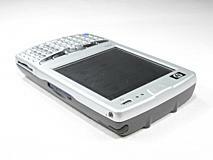 It is not the first Pocket PC with an integrated GSM/GPRS module but certainly the first EDGE-enabled Pocket PC. In a few tests data appeared to flow faster than over GPRS but considered characteristics of the EDGE technology and an absence of any indication that would tell you “you are now downloading data over EDGE”, this was just my impression. 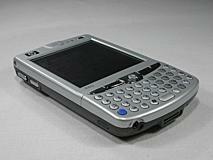 In addition, the iPAQ offers also Bluetooth and, as a cherry on the cake, an integrated GPS receiver. It seemed very sensitive – I drove the device on the front passenger seat and it was able to catch the signal from 5-6 satellites without any problems, which was not the case for BT GPS Altina that I used for comparison. Another conspicuous feature is an integrated keyboard. 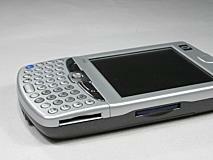 The keyboard is virtually the same as those implemented in iPAQ h4350, iPAQ h6340 etc. It has blue backlight and is ideal for typing medium-length texts. It remains to be seen though if the final version will support national characters. Other controls include a joystick and a few user-definable and function buttons. 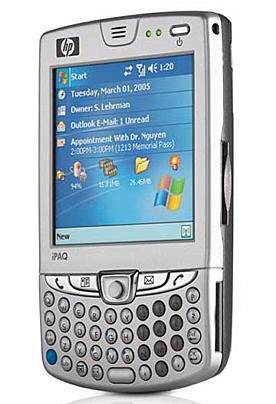 It is likely that strongly negative reactions to the performance of iPAQ h6340 made HP look for a more powerful CPU. This time, it is not a top performer, either, yet the Intel PXA272 running at 314 MHz offers much greater computing power than the 168-MHz OMAP. 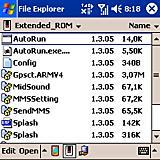 The memory includes 64 MB of RAM and 48 MB of FlashROM and is one of the areas where we may see some improvement in the final version. Now, a question for investigative readers: take a look at the screenshot below this paragraph and guess what is unusual… Yes, you are right:) This iPAQ, like new XDAs, offers part of the memory as Extended ROM (12 MB), i.e. a hidden place where the manufacturer preloads bonus apps that automatically start after a HW reset. Popular “cooking” may in the future become interesting not only for XDA users. Expansion slots are not the same as usual, either. 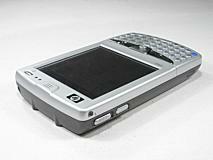 The new iPAQ does not feature the usual combination of an SDIO and a CF slot but an SDIO and a Mini-SD slot. Mini-SD is not new to the pocket computer sector but until now has been used in smartphones. It is a good solution for memory cards, although Mini-SD cards are more expensive than the standard SD ones. The user can store programmes on the Mini-SD card and use the SD slot for SDIO cards (WiFi etc.) and memory cards with documents, music and videos. The only minor drawback is the location of the slots on the side of the device, because SDIO cards stick out a little. Digital photography fans will appreciate an integrated 1.3-MPix camera which offers resolution of up to 1280 x 1024 pixels. 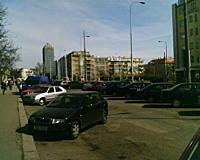 The quality is not striking (lags behind iPAQ rx3700); I would call it “satisfactory”, but sufficient for illustrative snaps. 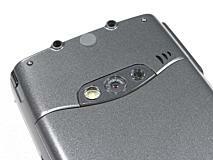 It supports still images as well as video and sports similar features as most other integrated pseudo-cameras. To get the idea, here are some photos (reduced in size). It is too early to evaluate the software suite because it is the last thing the designers fine-tune. As in most iPAQs, we can expect a generous selection of bonus software. 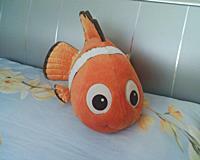 Besides common applications, such as Backup and Camera, I discovered e.g. a utility called Jeyo Mobile Extender in the Windows folder, which makes it possible to synchronise SMS messages with desktop Outlook. The Extended ROM contained a navigation utility from TomTom but this is not even remotely useful for people in the Czech Republic (no maps for this part of the world). My first impressions? Superb on the technical side, good-looking, I appreciate a come-back of silver colour. I have described the technical parameters above, so I won’t repeat myself but I can say that almost all of them are unique. I guess the HP iPAQ hw6500 is targeted at a limited group of corporate users, not the general public. The most likely users are those who require mobile collection of data, sales people etc. for whom this device may serve as an all-in-one laptop replacement. Let’s take it from the beginning – a mobile employee downloads a list of places to visit during the day into his PDA. He will have no problems getting there thanks to integrated GPS and navigation SW (why not SmartMaps Navigator:) Once reaching the client or partner, he can take even large-scale orders, typing on the integrated keyboard, which, with some training, will offer much better services than the virtual one. I am not saying an ordinary user would not find the new iPAQs features cool. Yet I believe HP’s other models are better suited for common users, albeit without an integrated GPS, EDGE and other specials to be found in this device. It is also possible that I will change my opinion after some time of testing the device:) Of course, the price – still being kept secret – will be one of the important factors. Anyway, we shall see when the final version hits the shelves.